Well, let's ignore the irony that in the previous post I talked about being addicted to sugar and the next post being about how I joined basically a baking pen pal system. 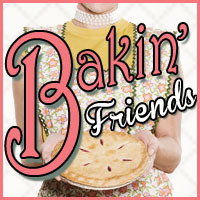 So the way it works is that each month there is a secret ingredient and you are matched with a baking friend. You have to make something including the secret ingredient and send it to your matched person. Someone else will then send something to you. So this month's secret ingredient was cinnamon. I love cinnamon. I put it in my coffee grounds before I even brew my cup. So I was very excited to see what I would have to work with and knew immediately I wanted to make my all-time favourite cookie, molasses crinkles (google it, the recipe by Betty Crocker is the one you want). So I sent those off to my bakin' friend and waited patiently (ok, impatiently for anyone who knows me) for my treat to arrive from none other than Amie over at http://www.running-on-healthy.com/, someone whose blog I have been following for quite some time. Amie sent me some, what smelled delicious, healthy doodle puffs. Why do I say smelled, and not tasted? I live in a condo downtown Toronto. Said condo has a security/concierge company that handles all of our parcels. Amie had emailed me to let me know that my package was coming early because she was headed off to Vegas. However, by September 20 I had still not received anything. So I asked Amie if she had confirmation of delivery and sure enough, arrived and signed for. Went to the security desk and it turns out that the package was successfully delivered on September 11, but because whoever had signed for it didn't log it in to the mail log, I never received the delivery notification, and thus I never received the package until I made the security guy search for 30 minutes in the mail room to find it. So, you can probably guess what happened when you take perishable baked goods and add it together with incompetent concierge service...cookies that go bad before you can even try one :( I was so upset. Not so upset that I didn't get to taste them (although, of course very sad about that), but more that this very busy person had taken time out of her life to do something super sweet, and her efforts were wasted. So, Amie, I am so sorry that I never got to try your puffs. But I thank you so much for sending them to me, and sending me something healthy :) I will definitely try out your recipe and let you know how they turn out. Her packaging was cute too. Total advertisement for anyone working with Canada Post :) The pictures were taken with my iphone, so sorry if they're not totally clear. Anyway, I hope for better luck in October! Thanks again Stephanie and Amie! I know the dangers of sugar and high fat foods. The more you eat, the more you crave. I have been on a major sugar crave lately. It's even gotten to the point that I am back to being able to stomach the sweetness of a double double from Tims. I had weaned myself off of those. I would 1 tsp of honey in my coffee instead (or less), or 1 sugar and I was ok with it. Then I noticed the more sugar I started having again and the double double isn't overly sweet to me anymore. Dangerous. Very dangerous. Added to that is that I love to bake. My bf has the buddha belly to attest to that, lol. And no, I don't focus on things like you'd see on skinnytaste.com. Think more Paula Deen. Sugar. Oil. White flour. I shudder inwardly just thinking about it. My in-laws are still here and I find myself making tasty, sugar and fat laden treats because it makes me happy when people enjoy my food. Then I eat them. It'll be easier when they leave, but I should really get a handle on it now. I need to get myself back off of the processed sugar. It makes me crash, and it makes me jiggly, which in turn makes me unhappy. I've done it before and I was ok. It wasn't that bad. I picked up some fresh fruit and greek yogurt for snacks. That's the only source of sweetness I need.